Software News tagged "Innovation and Awards"
Multichannel ecommerce software provider plentymarkets has won an eBay Star Developer Early Adopter Award. The eBay Star Developer Award was won along with Slickdeals, for being the first developers to adopt eBay's new Product-Based Shopping Experience (PBSE). plentymarkets has also added support for the Wish marketplace, through a free plugin available on their plentyMarketplace appstore. Merchants can now sell their products on Wish through plentymarkets. Amazon repricing company Feedvisor has picked up a "Most Promising Startup" award from leading Israeli publication Globes and also Deloitte Israel's 2017 "Technology Fast 50 Winners Award". Eyal Lanxner, Feedvisor co-founder and CTO, said, "It's a real honor to be included in the top 10 most promising and fastest growing Israeli startups by Globes and Deloitte. This recognition is a testament to our vision and continuous efforts to break through the eCommerce space with intelligent data and technology offerings. I'd like to take this opportunity to thank our investors, customers and of course, our employees for helping us reach this point." Feedvisor has grown by 774% in the past four years, leading to the awards. Ecommerce software provider Jazva has received two awards from business review platform FinancesOnline. Jazva was presented with the Great User Experience Award, and the 2017 Rising Star Award. "We're happy and honored to be presented with these awards, as they are a testament to the value we bring to the industry," said Ryan Elich, sales director at Jazva. "People in ecommerce are often very busy and come home exhausted from work. At Jazva, it's always been our mission to make their lives easier by equipping them with powerful automation tools. Our single, unified solution streamlines and simplifies multi-channel selling, so they can be more effective and efficient, while having more time to spend with their families." One of the focal points of the review was the analysis of Jazva's multi-channel capacities. Highlighted features include bulk listing and editing, user-friendly interface, embedded shipping system, and advanced channel integrations. Inventory and marketplace management tool Ecomdash has been selected as the 2017 winner of the Use of Technology, E-Commerce Award at the North Carolina Tech Awards. Winners were recognized at the annual awards gala on Thursday, Nov. 9 at the Sheraton Imperial Hotel & Convention Center, presented in conjunction with title sponsor Cherry Bekaert. Ecomdash provides ecommerce businesses with an easy-to-use software, designed to simplify and streamline operations. "Our goal is to provide online sellers with a platform that will enable them to build and grow a successful ecommerce business," says Nick Maglosky, CEO of ecomdash. "Since 1995, the NC Tech Awards has honored excellence and innovation throughout North Carolina, representing the best and brightest," said Brooks Raiford, president and CEO of NCTA. "As a winner, ecomdash has distinguished itself as a peer-leader and we are proud to recognize them as a 2017 NC Tech Awards winner." The NC Tech Awards is North Carolina's only statewide technology awards program, recognizing companies and individuals who have characterized excellence, innovation and leadership. This year's event was attended by more than 700 leaders from across the state. "We are humbled and honored to have been nominated alongside innovative companies including ChannelAdvisor, BlueCross BlueShield of North Carolina, and Sports Endeavors for this award," said Maglosky. "We are proud to see our drive for innovation and consistent dedication to our customers be recognized by the tech community." Ecommerce software company xSellco has been named the fastest-growing SaaS technology company, and won the Export Award, at Deloitte's 2017 Technology Fast 50 Awards in Dublin. "We are thrilled and immensely proud to receive this industry recognition from such a prestigious organisation," said founder and CEO Ray Nolan. "Our focus on the e-commerce transaction, from pricing strategy through to customer support and feedback optimisation, is paying dividends for our thousands of customers across the globe. Listening to those customers has helped us develop our products, further optimising sales and reducing the time it takes to support. We hope to continue to build on our foundation with innovative modules that deliver value and opportunity in the coming years." The Irish company, which has customers in 66 countries around the world, generates 96 percent of its revenue from international markets. Recent growth has seen the xSellco team double in size and it is expected to double again by the end of 2018. Deloitte, in association with Intel, presented the Export Award to xSellco for its outstanding global growth over the last four years. "Each year, these awards showcase the very best of the Irish technology industry. What really strikes me this year is the focus the winning companies have on global markets, which demonstrates the ambition and drive of Irish technology companies to diversify and the global nature of this business," said Joan O'Connor, international tax partner at Deloitte Ireland. Now in its 18th year, the Deloitte Technology Fast 50 ranks Ireland's fastest growing technology firms and recognises home-grown companies that have demonstrated exceptional growth in turnover in the last four years. Intelligence Node, the company behind competitor-tracking tool Incompetitor, has been named to a top 50 list of Indian tech startups. Started in 2009, the Nasscomm Emerge 50 Awards search for India's top 50 emerging companies in different domains. Intelligence Node's product Incompetitor delivers timely competitor insights to help brands and retailers spot opportunities and market trends. The list was announced during the Nasscom Product Conclave 2016 in Bengaluru. Multichannel ecommerce solution Volo has won the Best Product award at the recent eCommerce Awards in London, UK. Volo won for its new analytics and reporting suite, Volo Vision. Paul Watson, CEO of Volo Commerce said, "This achievement is a huge group effort and wouldn't have been possible without the continued support of our customers. Working with such exciting eCommerce businesses gives us a real insight into the challenges they face on a daily basis. This feeds directly into every product refinement, new feature and service enhancement we make. This includes Volo Vision." "Winning this award is an amazing endorsement for an amazing team. We take pride in the way we listen to our customers and create solutions that make a real difference to their fortunes. Our aim is to make selling online as easy as buying online and this award recognises that direction." Volo Commerce works closely with online merchants and large brands selling across marketplaces such as eBay, Amazon, and Rakuten as well as their websites. The company combines powerful technology with its expertise of marketplaces to drive growth and eradicate the complexity of sales and order fulfilment for retailers. In 2015, the company processed more than 40 million orders and helped ship 22 million parcels to 196 countries. Customers typically achieve over 50% revenue increase in the first year with Volo and 100% by the second year. European small business loans company iwoca has won three awards at the annual Credit Awards in the Grosvenor Hotel, Mayfair, London. iwoca were named Best Alternative Lender (Commercial) for the second year in a row, and also won the Best Fintech Company – Lending and Best Data & Analytics Technology awards. Currency exchange service World First and third-party logistics provider James and James Fulfilment have both won Queen's Awards for Enterprise on 21st April, the day of the Queen's 90th birthday. World First won the Award for International Trade, and James and James Fulfilment won the Award for Innovation. World First's co-founders, Jonathan Quin and Nick Robinson, and James and James founders, James Hyde and James Strachan, will also attend a reception at Buckingham Palace in July. Jonathan Quin, CEO and co-founder of World First, said: "It's always nice to win awards but to be one of a select few businesses to receive a Queen's Award as recognition of our success in international trade is especially pleasing. We set ourselves challenging growth targets and it is our innovative approach to technology coupled with an absolute focus on our customers that helps us to achieve these targets, and in so doing help thousands of SMEs and marketplace sellers around the world to increase their international trade too." 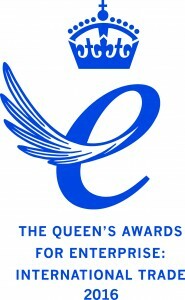 The Queen's Awards for Enterprise, considered the UK's highest accolade in business, are presented following recommendations to HM The Queen by the Prime Minister. Ecommerce management system TradeGecko was been awarded the title of Best Inventory Management Software 2016 by FinancesOnline.com. FinancesOnline said TradeGecko excelled in the areas of reporting, integrations and B2B ecommerce. FinancesOnline also awarded TradeGecko their Rising Star Award, Great for Enterprises Award, and Great Customer Support Award. Online marketing software for vehicle sellers Dealer.com has received three AWA awards at the NADA Convention in Las Vegas. The Automotive Website Awards (AWA) honor the best in the automotive digital marketing industry for the year. "Today's consumers expect a fast, transparent and satisfying car shopping experience, and dealers are working to deliver that to them using digital innovations like the Dealer.com solutions that were honored by PCG this year," said Wayne Pastore, senior vice president, Dealer.com. Marketing solutions, for Dealer.com Advertising. Social Media, for Dealer.com Social Tools. Started in 2008, the Automotive Website Awards recognize the best vendors in automotive digital marketing. Ecommerce tech company Ecomdash has won a major award recognizing its software product for small and medium sized businesses. Ecomdash has been named a silver winner in the Small or Medium Business Product of the Year category by the Best in Biz Awards, an independent business awards program judged by members of the press and industry analysts. More than 600 entries were received from an array of companies across the US and Canada. "We're honored and humbled to be recognized once again for our commitment to our small and mid-sized businesses," said Nick Maglosky, CEO of ecomdash. "This award encourages our team to continue working diligently to help our customers achieve greater success and scale their businesses quickly." Winners of Best in Biz Awards 2015 were determined based on scoring from an independent panel of 46 judges from highly recognized newspapers, business, consumer and technology publications, radio outlets, and analyst firms. The panel included contributors to ABC, Bloomberg Businessweek, Computerworld, Consumer Affairs, CRN, ECT News Network, Fast Company, Forbes, Hartford Business Journal, Inc. Magazine, InfoRisk Today, Information Week, L.A. Biz, MediaPost, Phoenix Business Journal, Portland Business Journal, Silicon Valley Business Journal, Small Business Digest, South Florida Business Journal, Tech Cocktail, Wired, Woman's Day and Xconomy. Shipping software company NetDespatch has won an innovation award for the "Pass My Parcel" service, along with Amazon, Smiths News and Blackbay. The "Supply Chain Innovation Project of the Year Award" win was announced at last week's Retail Week Supply Chain Awards. The awards ceremony, which celebrates supply chain achievements within the retail industry, took place at the Hilton Park Lane Hotel London and saw a panel of three judges determine this year's winner. The Pass My Parcel "Click and Collect" network, was created by Smiths News after just three month's development by NetDespatch and BlackBay, and launched in late 2014. Launch customer Amazon can now offer its customers the option to collect parcels from a nearby newsagent on the same day that they are ordered. Matthew Robertson, Commercial Director, NetDespatch commented: "We are incredibly proud of this achievement which recognises the great collaborative work of NetDespatch, Blackbay and Smiths News to deliver this service to Amazon. It's an even bigger achievement when you take into account that NetDespatch and Blackbay created the system solution for Pass My Parcel in a period of just 16 weeks. We are all thoroughly delighted to be recognised for this prestigious award." Ecommerce management software Neteven has won an award for innovation from Corporate Vision Magazine. The Technology Innovator Award was for the "Most Innovative Marketplace Trading Platform & Recognised Leader in E-commerce Distribution Software". The awards were chosen through a comprehensive process from Corporate Vision's dedicated awards team. All award winners were chosen solely on merit as assessed by the team. See the full list of award winners. Cloud-based ecommerce platform Shopify has announced the winners of its latest Build A Business competition. To take part, participants must have had no sales or brand recognition prior to June 1, 2014. The competition lasted eight months and the winners were those with the highest sales in their best two months of trading. Tens of thousands of entrants sold a quarter of a billion dollars of products over the eight months that the competition ran. Each winner will spend five days on Necker Island with Richard Branson, Daymond John, Tim Ferriss, and Marie Forleo. They'll also be treated to a private seminar led by Seth Godin. The six winning businesses were Leesa (mattresses), Trunkster (luggage), Shore Projects (watches), PAVLOK (wearable electronics), Little Letter Lights Co. (lighting), and Coco White (teeth whitening). "We knew that for our fifth year, we had to go bigger and better, which is why we chose to work with Sir Richard, one of the most accomplished and inspirational entrepreneurs in the world," said Harley Finkelstein, the Chief Platform Officer of Shopify. "We knew that the grand prize of spending a week on a private island, getting advice and mentoring from the likes of Sir Richard, Seth Godin, and Tim Ferriss, would motivate people to kickstart their ideas into actual businesses and I'm amazed at this year's group of entrepreneurs, businesses and products." Product repricing and analytics company Wiser have won a Red Herring Top 100 Award. The awards recognise privately-held technology and life science startups from Asia, Europe and the Americas. Red Herring's CEO, Alex Vieux, said, "Wiser perfectly embodies the type of company we strive to recognize every year: an innovative, high-growth company with market-leading technology." Online selling tool for vehicle sellers Dealer.com has picked up five Dealers' Choice awards from Auto Dealer Monthly magazine. "We're proud to be at the leading-edge of an industry where technology plays such a critical role in helping dealers transform their businesses," said Raj Sundaram, co-president, Dealertrack. "We are honored to be recognized by the dealer community for these awards; there is no better testament to the value of our solutions and service." The awards were won for Website, Digital Marketing, New-Vehicle Leads, Mobile Media and Internet Training. Dealer.com's parent company Dealertrack Technologies picked up a further three awards in Inventory Management, DMS, and F&I Desking Software. The Dealers' Choice awards are voted on exclusively by dealers and dealership personnel, and recognize the industry's best product and service providers. Amazon marketplace repricing tool Feedvisor has won an award from the Business Intelligence Group (BIG). The 2015 BIG Innovation Award recognizes innovations in a variety of fields, with 16 companies awarded in total. "The ability to dynamically change online pricing automatically is clearly an innovation worth of global recognition," said Russ Fordyce, managing director of the Business Intelligence Group. "Feedvisor's technology and platform is clearly a market leader in this space and continues to help online retailers with unique advantages to drive change and revenue in their own businesses. Congratulations to the entire team!" Feedvisor's technology has won several prestigious industry awards, including the Red Herring Top 100 in 2014 and Frost and Sullivan's Technology Leadership Award 2014. Fulfillment house James and James has been nominated for the "Delivery or Fulfilment Innovation of the Year" award at the BT Retail Week Tech & Ecomm Awards. The Awards, run by the EMAP Publishing, will be held at the Hilton Hotel, Park Lane, London on 10 June 2015. James and James were nominated recently in the SHD Logistics Awards 2015, and were awarded a certificate of High Commendation by the judging panel in the Innovation Technology Award category. Multi-carrier shipping system MetaPack has won an award for being one of the UK's best-performing privately owned technology companies. The new Megabuyte50 awards aim to identify the best-performing UK-based, privately owned mid-market technology companies. Megabuyte provides corporate and financial information on 1,500 public and private technology companies across Europe. MetaPack's CEO and founder Patrick Wall commented: "This award is a great testament to our team's commitment to driving growth in the retail industry. We're very pleased to be recognised alongside some of the UK's most prominent technology companies in this listing and we're looking forward to continued growth in the future." MetaPack was founded in 1999 and now works with 80% of the UK's leading retailers, including Marks & Spencer, John Lewis, House of Fraser, ASOS and B&Q. eBay's enterprise-level software and services division eBay Enterprise has been named a "Strong Performer" in Forrester's latest B2C ecommerce software report. eBay Enterprise includes Magento Enterprise Edition, which scored highly for responsive web design, cost, and implementation time. From the report: "With Magento Enterprise Edition, eBay Enterprise offers a maturing open-core commerce product with a significant installed base that is rounded out well with partner extensions while the broader eBay Enterprise organization brings to the table OMS, marketing solutions, and outsourced operations via an à-la-carte menu." The report can be downloaded from eBay Enterprise. Multichannel management system ChannelAdvisor has won an "Eggie" award at the Newegg marketplace's annual awards ceremony. The company won "Marketplace Best Platform Partner" at the 11th Annual Eggie Awards, held in Las Vegas on January 8. ChannelAdvisor's integration with Newegg allows online retailers to sell their products on Newegg, Newegg Canada and NeweggBusiness. "Our strategic integration with Newegg has been a win-win situation since day one," said Paul Colucci, ChannelAdvisor vice president of enterprise sales. "By selling on Newegg, our customers can connect with the marketplace's incredibly loyal customer base and take advantage of the many valuable resources and features that Newegg has to offer." 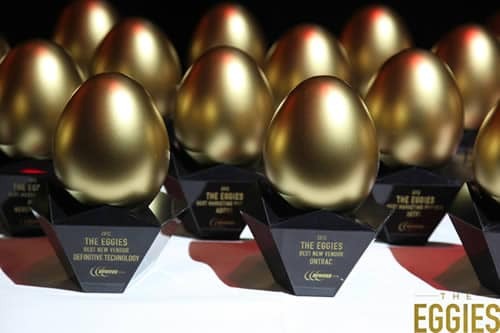 The Eggie Awards are celebrated each year at the Consumer Electronics Show, and recognize the best contributions from Newegg's customers and partners. Newegg is an electronics online retailer founded in 2001, with a third-party marketplace enabling merchants to sell a wide range of products through the Newegg.com website. UK fulfillment house James and James Fulfilment has been nominated for two logistics industry awards. The company has been short-listed for the annual SHD Logistics Awards 2015, in the Innovation Technology category, and also the Internet Business Awards 2015 in the logistics category. The SHD awards entry is in partnership with James and James' client SureFlap, who sell a range of microchipped cat pet doors and accessories internationally. The winners will be announced at a ceremony in London on 19 March. The Internet Business Awards will be announced in London on 3 March. Order management software vendor Dydacomp has been named as one of the "Top 20 Most Promising Tech Solution Providers for Apparel & Textile Industry" by CIO Review. Dydacomp's order management products include Multichannel Order Manager (M.O.M.) 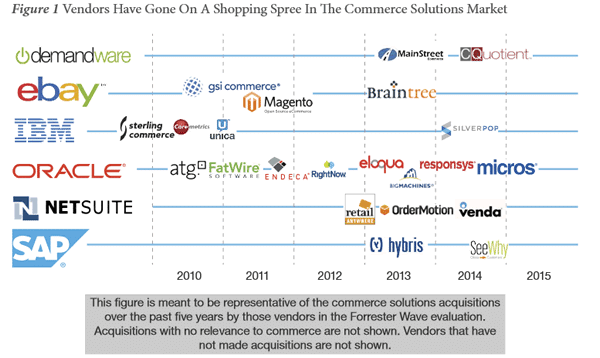 and Freestyle Commerce. "Order Management Systems provide automation of an order right from the time a customer places the order to delivery and payment receipt for that order," said Fred Lizza, CEO of Dydacomp. "We provide best of breed alternatives to the ERP system that are cost efficient and enable the customers to grow bigger with fewer people than they would need otherwise." Over 2,000 multichannel merchants use Dydacomp's solutions, generating $10 million in gross merchandise sales every day. CIO Review's research team analyzed over 300 companies offering technology solutions to the apparel industry sector, and chose Dydacomp as one of the best 20. CIO Review's article about Dydacomp can be read here. Ecommerce management tool Veeqo has been nominated for an ESTnet award in the Tech Startup of the Year category. The ESTnet award ceremony will be held at the Wales Millenium Centre in Cardiff in March 2015. 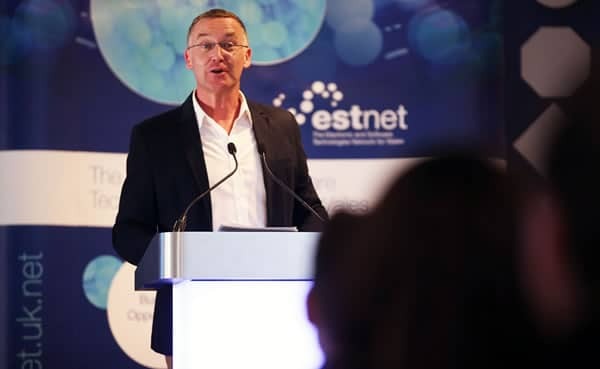 The awards are run by The Electronic and Software Technologies Network for Wales (ESTnet) and celebrate talented and innovative Welsh businesses. eBay listing tool Segemai-Retail has added an innovative feature which automatically creates eBay listings from products listed on Amazon. Given an Amazon product code (ASIN) the Amazon-to-eBay Auto-Lister extracts the title, images, price and description from Amazon.com, and creates a new item on eBay. Templates can be used to populate other required eBay fields and configure pricing. Multiple ASINs can be providing for bulk eBay listing creation. The feature is designed for eBay sellers who use Amazon as a dropshipper, buying items from Amazon when they sell on eBay and shipping direct to the buyer. Ecommerce channel marketing software supplier Lengow has won the Best Cross-Border E-commerce Solution Award at the Cross-Border E-Commerce (Export) Conference & Exhibition that took place in Shanghai, China, from 27th to 28th November. "Lengow's strengths lie especially in the solution's flexibility, user-friendliness and efficiency. 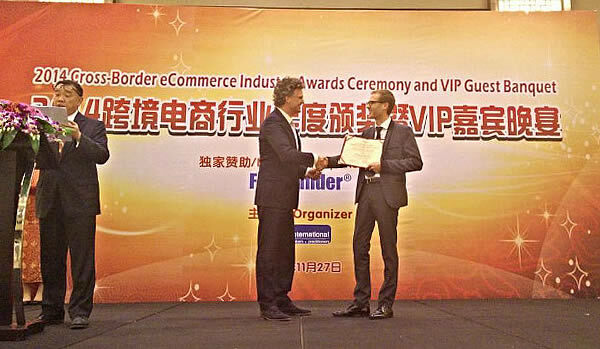 We are constantly developing our services and partner network around the world to offer the best adapted solution for the needs of our clients", said Jérémie Peiro, Lengow's CEO and co-founder, "We are thrilled to have won this prestigious award and that Lengow's contribution to cross-border ecommerce has been recognised in China, a country that is really changing the ecommerce landscape." Peiro also presented a keynote on seizing European ecommerce opportunities. The event is in its first year, and attracted 30,000 ecommerce professionals from over 30 countries. 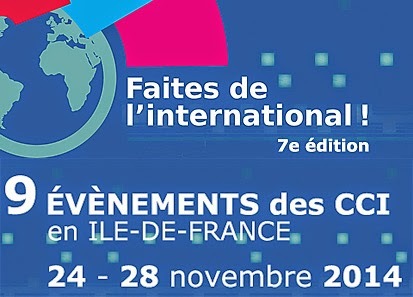 Neteven Wins Award for "Best International Expansion"
European marketplace management software supplier Neteven has won an award from the French International Chamber of Commerce for their successful expansion into the UK and Germany. Neteven was honored alongside three other French companies at the beginning of their international expansion. Neteven secured a $4.9 million Series B funding round in September this year. Ecommerce management solution eSellerPro and Amazon pricing automation tool Feedvisor have both won awards in the recent Red Herring Top 100 Europe Awards. "This award underpins another great year for the company, one where our platform processed 39m sales orders and 25m parcels shipped" said Paul Watson, CEO at eSellerPro. "The award is a richly deserved accolade for the eSellerPro team and we thank our customers and partners for making it possible with us." "We are ecstatic about winning the prestigious Red Herring award and view it as a sign that our achievements over the last two years have been recognized by the industry," said Feedvisor’s Co-Founder and CEO, Victor Rosenman, who himself presented at the Forum. "It is testimony to our hard work and a great honor for us. We've developed a solid product and are constantly fine-tuning it according to our customers' needs. It is also reflective of our growing customer base and our high rates of customer satisfaction." Red Herring's Top 100 Europe list is a mark of distinction for new companies and entrepreneurs. Red Herring’s editors were among the first to recognise that companies such as Facebook, Twitter, Google, Yahoo, Skype, Salesforce.com, YouTube, and eBay would change the way we live and work. Web development agency Visualsoft has been nominated for the Internet and ICT category of the North East Business Awards 2014. The award recognises companies that have used web technology and ecommerce to further their business. The awards ceremony will be held at Teesside University on 3rd April 2014. Visualsoft won the Internet and ICT category category at the 2013 North East Business Awards. Monsoon Stone Edge has been recognized as the most popular order management solution chosen by online retailers in North America. "This recognition is really a testament to the entrepreneurship of our customer community", said Monsoon CEO Jim Cruckshank. "It’s remarkable to witness firsthand how Monsoon Stone Edge plays a part in our merchants evolving from part-time sellers to eCommerce leaders fulfilling thousands of orders per day." The software came out as the top order management solution in Internet Retailer's vendors guide covering 1,000 retailers who reported their technology providers. Ecommerce provider ChannelAdvisor has been named "Online Technology Vendor of The Year" at the UK's Retail Systems Awards. "We are delighted that our software has been commended by a leading publication such as Retail Systems," commented Seamus Whittingham, ChannelAdvisor's Managing Director for EMEA. "It is a testament to the efforts of the ChannelAdvisor and Littlewoods Clearance teams. We have a great partnership and are thrilled to have this recognised through this award." Platform One has won the Most Innovative Sage Addition Award for its e-commerce merchant trading solution, Tradebox. Tradebox was designed to improve the efficiency of trading over the net by linking Sage accountancy systems with eBay.co.uk. Infopia has won “Breakthrough Application of the Year” award at salesforce.com’s Dreamforce Expo. The award honors Infopia for creating a solution that integrates online selling into salesforce.com’s AppExchange platform. eCommerce provider Infopia has been granted a patent for their technology and methodology which helps sellers find the best marketplace for their specific product – which could be eBay, Amazon, Overstock.com, uBid.com, Bid4Assets or any combination of these and others. Infopia considers inventory information, product performance, marketplace performance, customer acquisition costs, buyer activity and other information in its best-practice process. Mac eBay listing tool iSale has received an Apple Design Award for Best Mac OS X User Experience. Shipping calculator aiShip has been granted a patent for many of its features, including real-time calculation of shipping charges for multiple carriers, such as the U.S. Post Office, FedEx and UPS, based upon zip code and other characteristics such as weight, special packaging, and insurance costs. CORESense has been named a winner in Integrated Solutions For Retailers magazine’s Small To Midsize Retail Solutions Awards. CORESense won the award for Best Multi-Channel Retail Solution for its work with Home Office Solutions Group. eBay has announced the results of the eBay Developer Challenge, a competition launched for eBay developers to show off their skills and create innovative applications. The Grand Prize Winner is cell phone bidding application UnWired Buyer, and the First Place Winner is ctxbay which displays contextual eBay ads on websites. Honorable mentions went to searcher Gumshoo, and monitors AuctionWatch GD and AuctionMonitor.net. eBay today announced that all Developers Program members will now be able to access eBay Web Services for free. Membership will include free use of the eBay API, free certification, and the availability of paid technical support for all members. The former membership tiers have been scrapped and there are now only Developer and Affiliate levels. Free API calls are available to members using the unified schema, which was announced in February 2005. API calls made using the legacy schema will only be supported until June 2006, and will continue to be charged at the previous call rates. The eBay Developer Challenge 2006 has been launched for eBay developers to show off their skills and create innovative applications. There are individual and team categories with top prizes of $5,000 and Xbox 360™ game consoles. eBay are particularly interested in searching tools, ideas that combine eBay features with other web services, and multi-platform applications (such as Skype integration). The deadline for submissions is 31 January 2006 and winners will be announced at the O'Reilly Emerging Technology Conference in San Diego, California, March 6-9, 2006. More info. The company behind auction management solution CORESense for eBay has been named a Rising Star in Deloitte’s Technology Fast 50 Program for New York. More info. Truition, a provider of auction sites for online retailers, has been recognized by the Web Marketing Association at its annual WebAwards competition. Truition client work that received awards included MLB Auctions, which won the "Best Auction Website" award in the Auction Category as well as the "Outstanding Website" award in the Sports Category. In addition, NHL Auctions, Ty's Toy Box, and CompUSA Auctions - all developed and designed by Truition - were awarded "Standard of Excellence" awards. Email marketing tool Constant Contact has won the 2005 Web Marketing Today Award of Merit for Excellence in E-Mail Marketing Software. The accolade was given by Dr. Ralph Wilson, founding editor of Web Marketing Today. Infopia won a Star Developer Award from eBay for the second consecutive year, winning the Early Adopter accolade this year after winning for the Most Innovative Application last year. Marketworks won a Star Developer special achievement award for facilitating more eBay listings than any other provider. This follows an announcement on 16 June that the company has secured an additional $7 million of equity financing. Vendio Services won the Innovative Application award. Andale won the Top Producer of GMV on eBay Using Third-Party Tools award. Kuntay Taner of FoundValue won the Service to the Community award. Earthlink won the Affiliate Technical Leadership award. PayPal awards went to Mal (Early Adopter), Scorpion Systems (Service to the Community), and Yahoo Small Business Web Hosting (PayPal Innovative Application). Nominations can now be made for the Service to the Developer Community and Innovative Application awards, to be presented at the eBay Developers Conference in San Jose on June 21st.